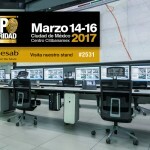 GESAB has participated again at the most important safety and security fair in Mexico, where we showed the latest trends in control rooms, control consoles and technical furniture, presenting ACTEA and Advantis NG SIT & STAND, as well as different configurations; moreover, various audiovisual solutions that complement integrated projects in command centers and were also exhibited. 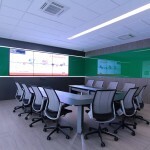 Since GESAB bet on the Mexican market by opening an office several years ago, it has positioned itself as a leader in providing global solutions for control rooms, from the technical furniture, videowall, interior design, consulting and project implementation, providing the latest Innovations in control consoles with the unique design of GESAB. 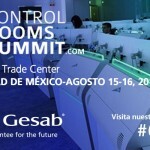 In this new edition of Expo Securidad, the GESAB´s booth has been a reference for trends that will prevail in the control rooms of the coming years, and proof of this were the many attendees who have passed along the three days of the fair. 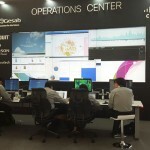 Without a doubt, people have a fundamental position in the future command centers, so achieving maximum ergonomics for maximum performance is one of our fundamental objectives. 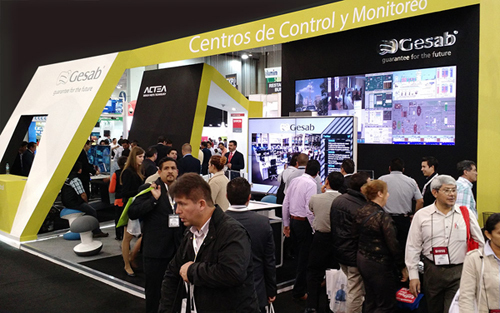 See you in 2016 in a new edition of Expo Seguridad Mexico with many new features!